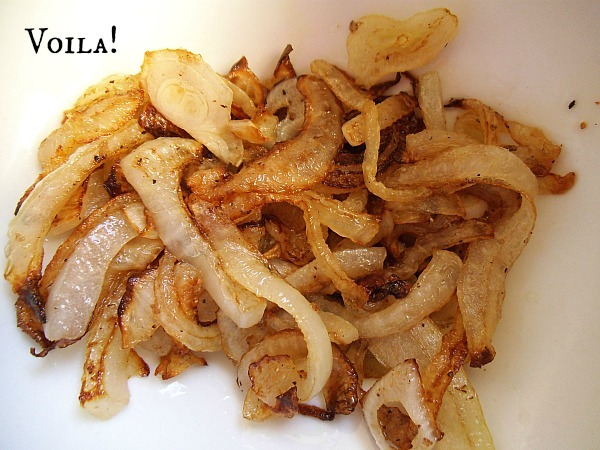 Caramelized onions work well in just about everything, from pasta dishes to pizza and sandwich toppings to omlettes in the morning to just about anything. I love when they are perfectly soft with a slightly sweet yet buttery taste, but then you find a few crispy or really browned ones and life just gets 100 times better. 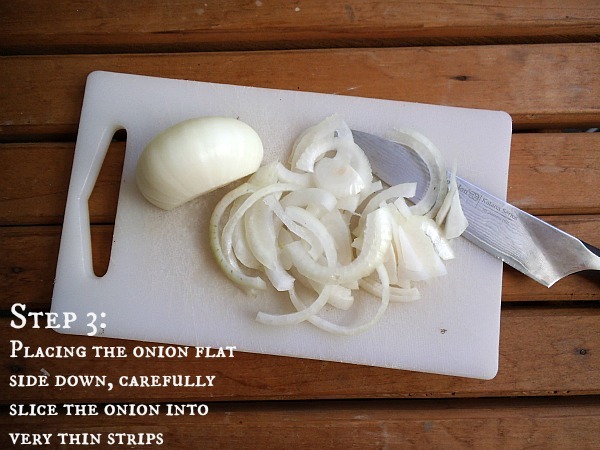 I tend to use yellow or Vidalia onions for their sweeter flavor, however other varieties of onion are fine to use as well. If you don't like onions, try caramelized garlic - it's wonderful with just about anything, however it requires a little extra time and babysitting (garlic can burn very easily). 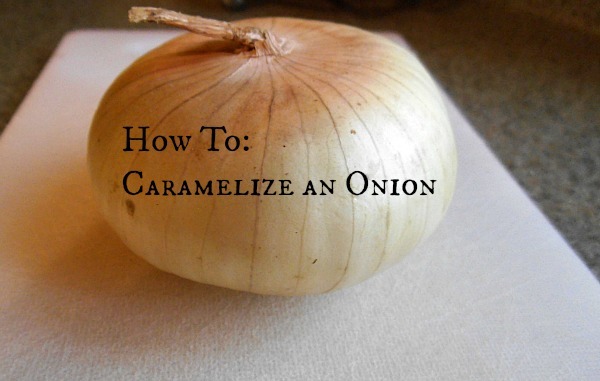 Now that my eyes have stopped tearing up and burning from making this post, I am happy to show you the quick and easy steps to caramelize an onion! 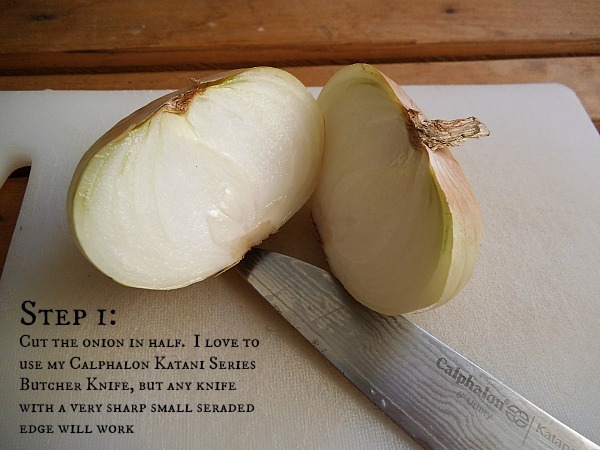 The secret to not crying your eyes out while cutting up your onion: Place the onion in the fridge for 24 hours - apparently it draws out all the tear producing aromas...either I'm just ridiculous and sensitive or I'm doing it wrong, but no matter how long mine sit in the fridge, I'm still crying! If anyone has any luck with this tip, let me know! Some people leave the skins on, but I find it much easier to make a thinner and cleaner slice when they are removed first. 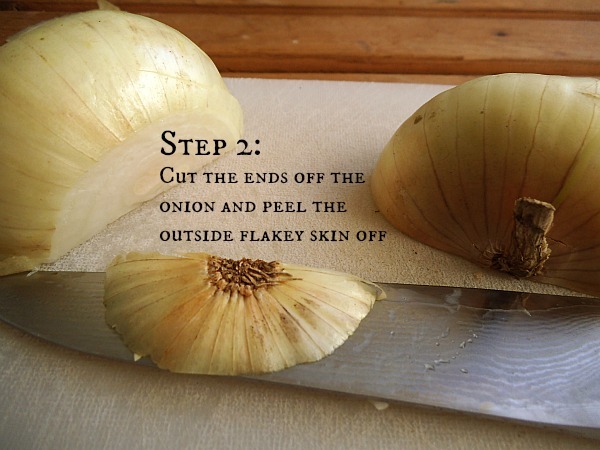 Make sure the thin slimey-ish film that's underneath the onions skin is removed as well - it's very slippery and I have unfortunately been guilty of having the knife slip on it, therefore cutting my finger...not a nice thing to deal with, so get rid of that! I am using this batch on a Caramelized Onion and Balsamic Mushroom Pizza later tonight, so I added a little William Sonoma Smoked Sea Salt and Ground Black Pepper - but trust me, these can be naked too and just as delicious! Make sure to keep these on medium-low heat and stir occasionally so nothing burns. I always add a little extra olive oil so nothing sticks - never butter even though many people add that. The butter is purely extra fat in my eyes...the onion is already sweet and doesn't need the added flavor of butter...unless you like lots of butter! Is your mouth watering yet??? Mine is...just look at that golden brown color and those crispy little ends throughout...ugh! Ridiculously good! I'm getting inspired...maybe some of these in a batch of bacon mac'n'cheese or a big bowl of fettucine alfredo with peas or a veggie omlette tomorrow morning?! I'll be going now...to make three more batches to last me the week! Yes! 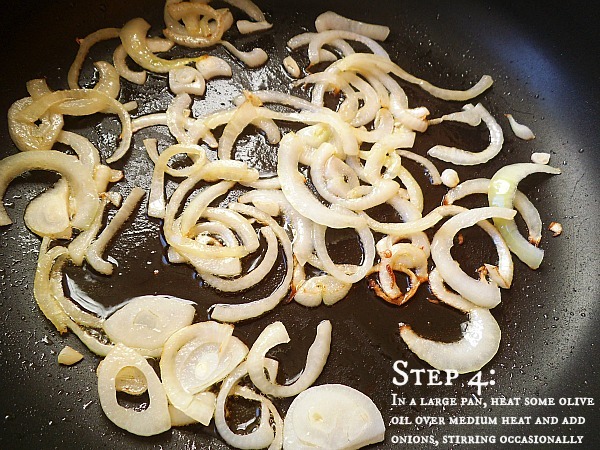 Caramelize onions are one of the best things in the universe! I’ve never heard anyone mention that slimy coating before. I thought I was the only one who noticed haha. Great tuturial! I can’t believe I’ve missed this comment for almost 365 days! Thanks though Reeni and yes that slippery slimy skin has taken beautiful manicures away in a snap!